Experience is what counts. The new Sportura is a real sports watch for those who know the true values of sport. SEOUL, May 3, 2011 – LG Electronics (LG) today introduced two notebooks – the P430 and P530 – as the first in the company’s new “Blade” series to be launched later this month. LG’s Blade series comprises ultra-slim notebooks that deliver the ultimate in style without sacrificing performance. 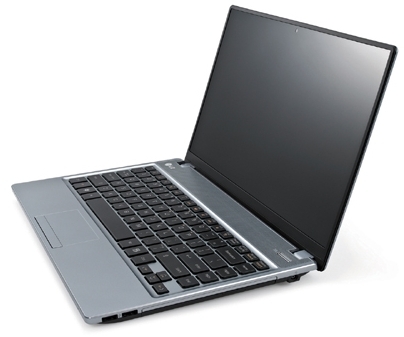 Compared with LG’s first generation slim notebooks (models P210 and P420), the Blade series boasts a noticeably slimmer profile. The P430 and P530, with 14-inch and 15.6-inch LED LCD screen respectively, offer outstanding features that set them apart from the competition in slimness, weight and material. The minimalist, sophisticated designs of the P430 and P530 feature a super-slim LED LCD screen, bezel and body, creating a new style icon for fashion-forward consumers. The notebooks’ new display technology, developed in collaboration with LG Display, allows the LED LCD screens to be incredibly thin while still delivering rich, sharp images. With respective depths of 4.5mm and 4.7mm, the screens of the P430 and P530 are up to 50 percent thinner than any other notebooks in their class. Thanks to LG’s world-class bezel technology, LG Blade notebooks boast bezels that are more than 40 percent narrower than other notebooks in the same class. This allows the 14-inch P430 to be designed around a 13.3-inch-class notebook. Together, the thinner display and narrower bezel contribute to LG’s new Blade series being up to 22 percent slimmer than the closest competing product in its class. The P430 and P530 boast extremely lightweight bodies to maximize mobility. Weighing in at just 1.94kg with a depth of 23.8mm, the P430 is lighter than conventional 13-inch notebooks, while the P530, at 2.2kg, weighs less than traditional 14-inch notebooks. Unlike most notebooks with 14- and 15.6-inch screens, LG’s P430 and P530 are comfortable to carry around in a shoulder bag, making them the ideal companions for working on the road. Designed with a metallic case, the P430 and P530 offer a more durable alternative to other slim-style notebooks. The metal casing results in a stronger exterior, ensuring extreme protection despite its ultra-slim depth. With a brushed aluminum finish and diamond cutting, a technology that uses real diamonds to cut the edge of the case, LG’s Blade notebooks have a smooth, high quality cover with a refined and luxurious look. The P430 and P530 are available in two colors: Misty Blue and Titan Black. Thanks to the second generation Intel® Core™ i7 processor, the P430 and P530 boast outstanding performance. Intel’s new quad-core processor is 20 percent and 50 percent faster than the previous generation Intel® Core i7 processor and the second generation Intel® Core i5 processor, respectively. The notebooks also include NVIDIA® Graphics® GeForce GT520M – which boasts 50 percent better performance than integrated graphics cards – to deliver exciting, game-friendly graphics. The P430 and P530 include an array of multimedia features including a 1.3 HD webcam, SRS and DLNA technology to easily share and enjoy photos and videos with other DLNA-enabled devices. LG’s “Style by Blade” campaign will accompany the roll out of the P430 at the end of May and the P530 a month later in markets throughout Europe, the Middle East, South America, and Asia.